As the federal government shutdown surpasses another pay period, affected employees may find it more difficult to put food on their tables and provide for their families. The Hogan administration is making every effort possible to ease the burden on hardworking Marylanders. MDOT MTA is offering free transit for federal employees who are not being paid, but still reporting to work during the shutdown. These federal employees who show their ID during the shutdown can ride for free on MARC, Commuter Bus and BaltimoreLink services, including: CityLink, LocalLink, Express BusLink, Light RailLink, and Metro SubwayLink. BWI has established several drop-off locations at the airport for a food drive organized by several airport tenants for airport employees and the public to donate food and other non-perishable items to federal workers impacted by the partial government shutdown. Items may be dropped off at the Maryland Transportation Authority Police (MDTA Police) station on the lower level of BWI Marshall Airport by door 14. General Services has organized a food drive with 15 drop-off locations across the state. Items most in need include canned meats, peanut butter and jelly, boxed pasta and sauce, healthy snacks (breakfast bars, dried fruit), cereal, soups/canned meals, baby food, Ensure and other nutritional supplements. Additionally gift cards for grocery stores and gas will also be accepted. Once the food drive is complete, all items collected will be delivered to local food banks. DLLR UI has extended call center hours to efficiently handle the increase in UI claims stemming from the partial federal government shutdown, call centers will be open for an additional two hours each day to better assist affected workers. Federal employees affected by the partial federal government shutdown can visit www.mdunemployment.com for more information and step-by-step instructions for filing your claim. To speak to a UI representative, please call 410-853-1700 during our extended claims center hours, Monday through Friday, 7:30 a.m. – 3:30 p.m.
DHS issued February SNAP benefits in mid-January to assist the more than 650,000 Marylanders recipients in Maryland. Additionally, the department recently launched a website with additional information about benefits to assist citizens. 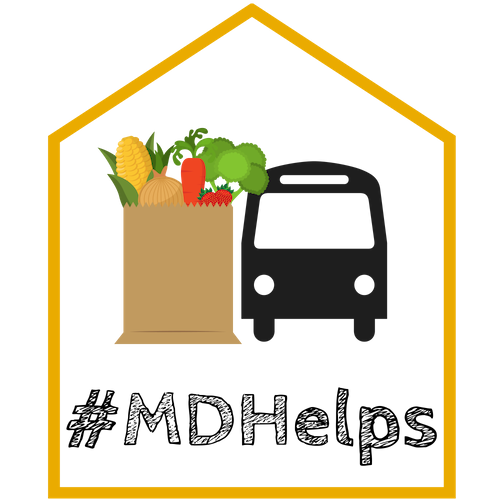 A list of community food resources by county, frequently asked questions, a copy of the SNAP/FSP customer letter, and phone numbers for each of the local departments of social services are just some of the helpful information DHS provided on its website.